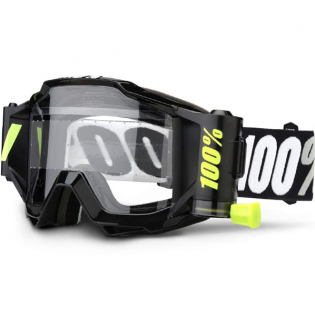 100% Accuri Forecast motocross goggles are brought to you by 100% (Ride 100 Percent). 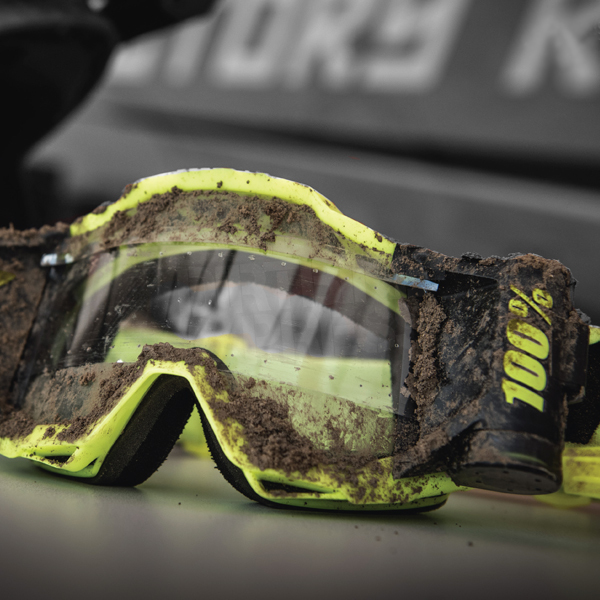 This revolutionary mud specific goggle is a complete system comprised of working parts that function seamlessly together. 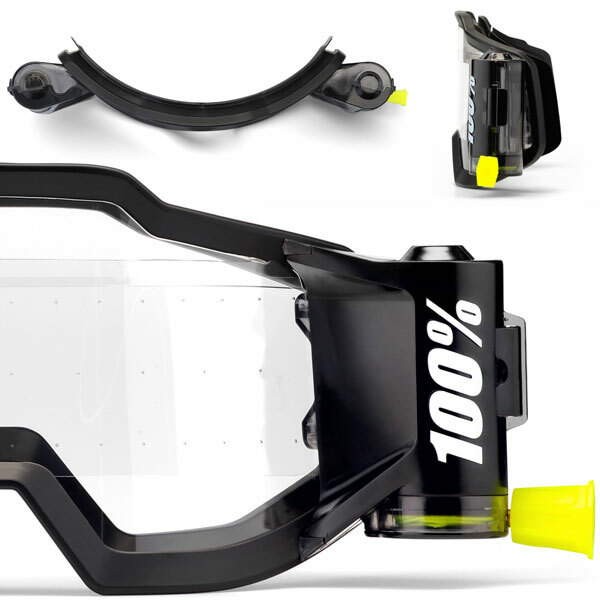 Wider film, smoother pulls, and an advanced cleaning system contribute to achieving our goal of providing the maximum amount of vision. 1 - Forecast Roll Off System: Complete System comprised of working parts that function seamlessly together. Self-cleaning canister with integrated film wipe reduces mud build up. Transparent film canisters provide an easy view of remaining film. Smooth rolling drawstring for easy pulling. 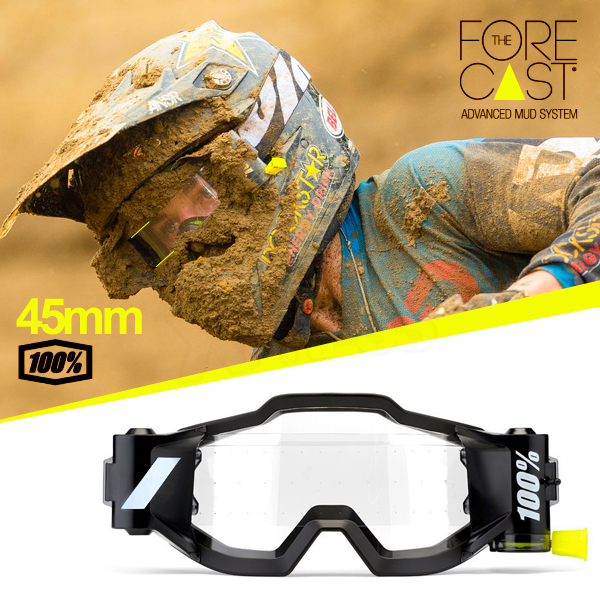 4 - Lens: Comes Anti-fog coated Lexan lens for flawless vision. 7 - What's in the box? : Mud Flap, 2 Rolls of Film & a Microfiber Bag. Buy 100% Accuri Forecast Mud Motocross Goggles at Dirtbikexpress, the UK's favourite motocross store.